The school began in a little accommodation in C -Scheme on 14th April, 1987 and is currently located at Vaishali Nagar in an expansive campus of 6.23 acres. A Co-Educational, CBSE certified school. 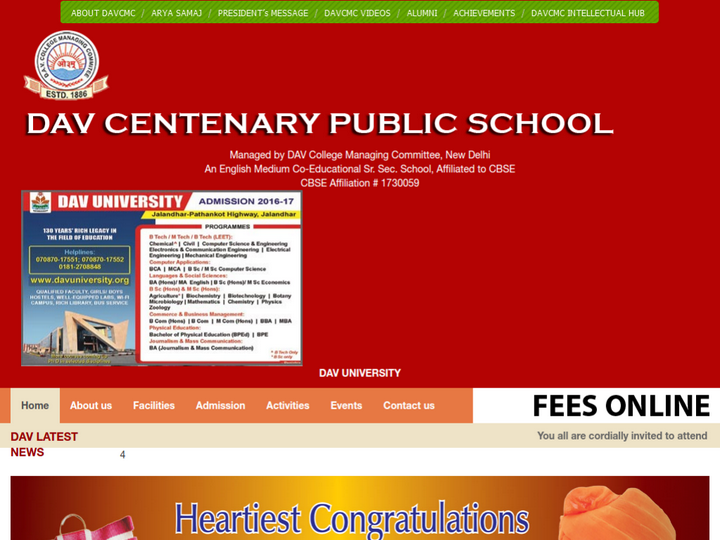 The DAV Centenary Public School is an impression of convention and innovation with a weight on identity improvement. The teaching of social qualities is supported by standard Hawan and Yajnas, which help in decontaminate the campus. We work in the structure of the central D.A.V. rationality, which brings together the Nationwide D.A.V. system and which began from Maharishi Dayanand. The essential precept of this logic is that at the present time instructing our students, we acknowledge not just the best that the advanced research in instruction brings to the table additionally incorporate it with the center estimations of our society, culture and tradition.